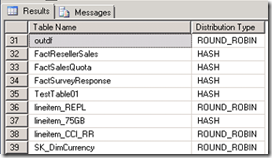 Introducing SQL Data Warehouse – MPP in the cloud! Yesterday SQL DW went live into public preview. With SQL DW we can now process a lot! of data at cloud scale by leveraging its Massive Parallel Processing (MPP) engine. 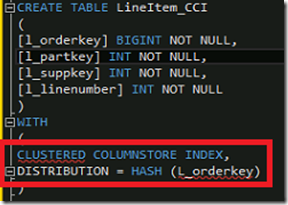 Yet another milestone in SQL Server history! A lot of information has been published over the last couple of days including some introduction videos and a ‘getting started’ by JRJ! I have been part of an internal test team and have been working on a SQLDW instance that is located in the ‘SQL Japan West’ Datacenter a couple of thousands of miles from my hometown in the Netherlands; below some information & queries that might be handy for your future SQL DW toolbox! The recommended method to load data into SQL DW will very likely become AZCopy for Data Transfer into the cloud and PolyBase for the data load into the database. But to get started, you might stick to the BCP utility for the moment. As a quick test I uploaded a lineItem file to Japan with 600K rows and noticed an old school trick to increase the throughput also applies: increasing the network packet size from the default 4096 (4KB) to the maximum supported value of 16192 brings you an 10% improvement in load speed. –S some_nr.database.windows.net –a 16192 –P ‘secret’ -q -t"|"
The preferred method to monitor the activity of your SQL DW will be via the Microsoft Azure Portal (See picture below). The very rich and enhanced query monitoring features are not yet publicly available so below a couple of queries from my APS toolbox to help you retrieve all the information you might be looking for! 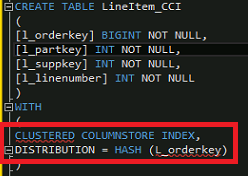 SQL DW supports 2 tables formats: Hash distributed and Round_Robin. 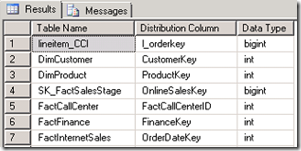 SQL DW is a great and very welcome addition to the SQL Server family! Its designed with ease of use in mind and can handle petabytes of data for you by leveraging the Massive parallel processing (MPP) capabilities as introduced with APS. In the text above you have seen a couple of queries and their output to help you to get familiarized with the concept of the MPP query execution behavior of SQL DW. …Just imagine for a second what new insights SQL DW with its massive cloud scale can & will bring! Thanks for all the amazing APS posts. They are very scarce to find. Is there a direct correlation between DWU and Distributions in an on premise appliance ? 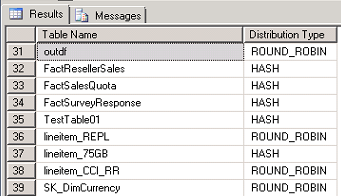 In the current SQL Data Warehouse public preview there are 60 distributions assigned to each SQLDW instance. When scaling up the horsepower by increasing the number of DWU’s, more CPU’s and Memory is assigned to the SQL grid to provide more in-memory cache and also more bandwidth for Polybase when importing/exporting data!